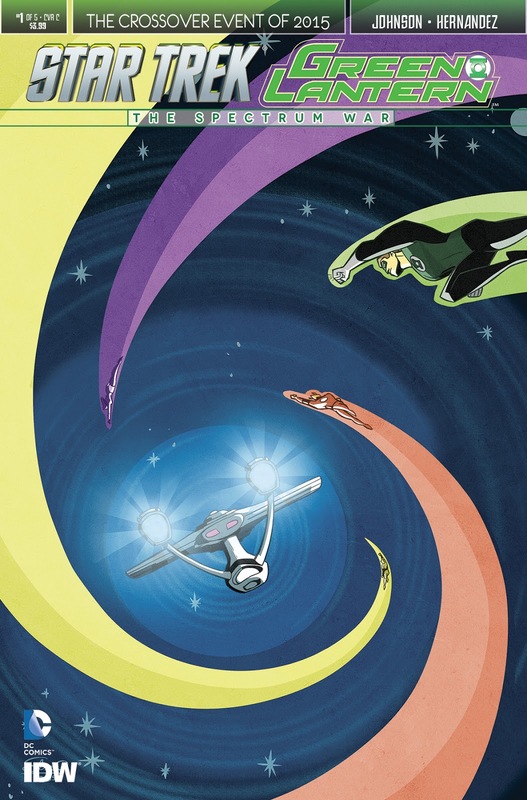 The Trek Collective: IDW's July Star Trek comics, with loads of covers! 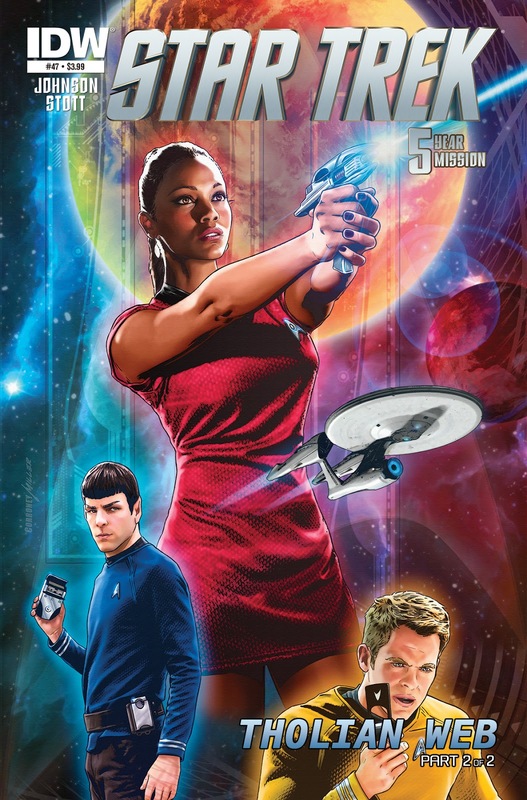 IDW's July Star Trek comics, with loads of covers! 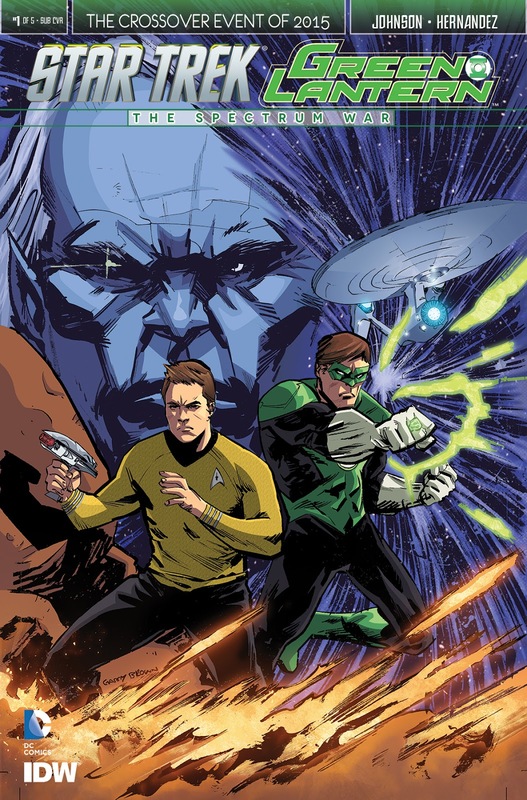 July is a big month for Star Trek comics, with the new Green Lantern crossover series headlining IDW's solicitations for the month, plus new issues of the nuTrek ongoing and New Visions series. Continue below for details of them all, and a lot of covers! 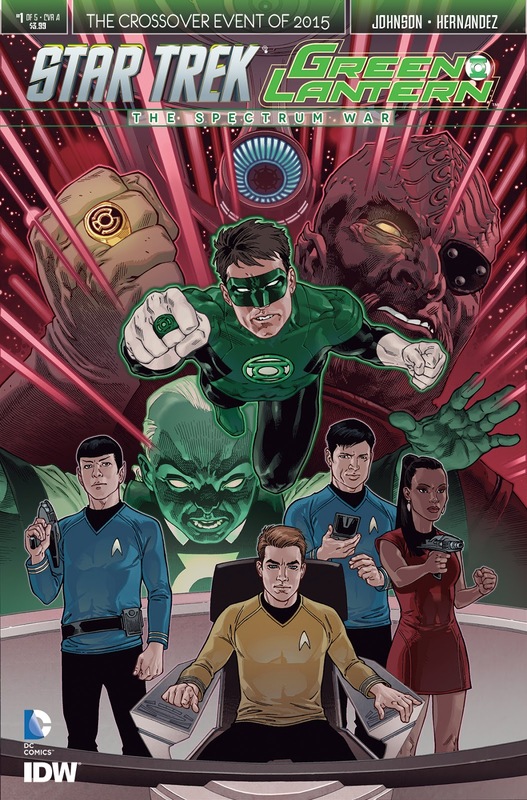 There's also the subscription variant cover by Garry Brown, this will apparently be one of a series continuing throughout the six-issue series, building up one continuous image form the six subscription covers. 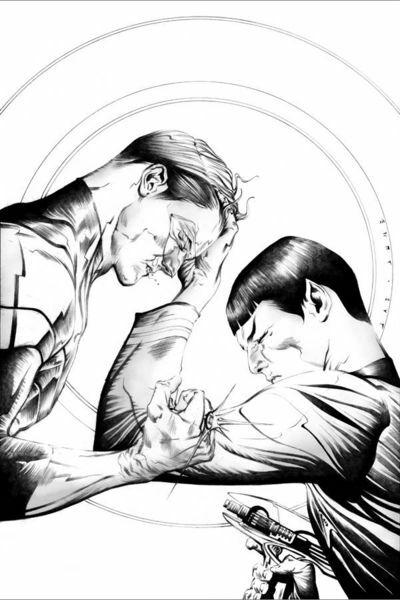 And there will also be a blank sketch cover (no image of that, not that there would be much to see!). Written by Mike Johnson, with art by Rachael Stott. 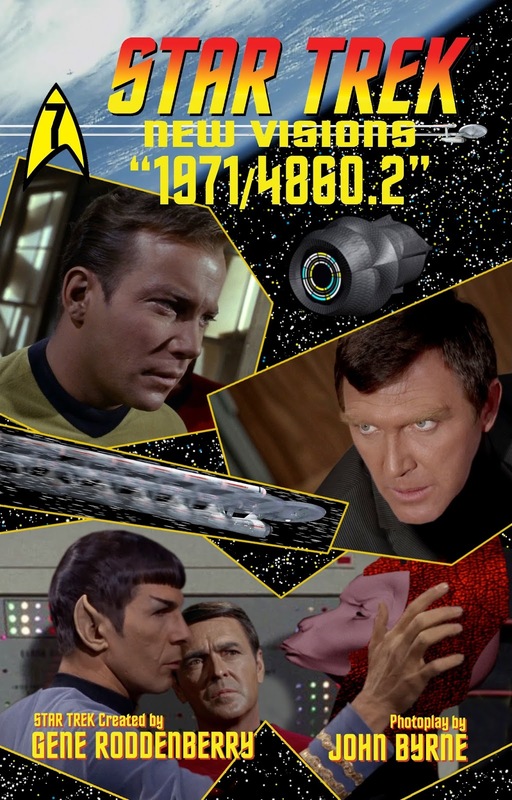 After a long run of photo-covers for the subscription covers in this series, we finally get some original, and particularly delightful, artwork for this issue, by Derek Charm. 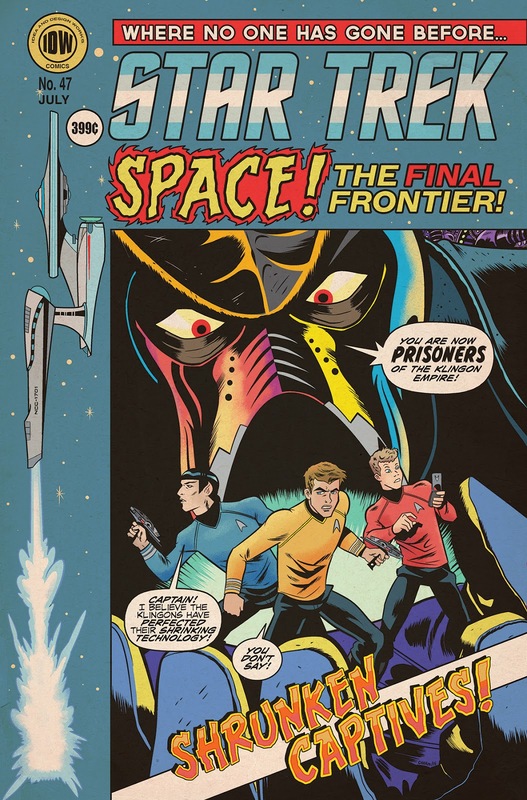 The cover is in the style of EC Comics, and is one of twelve similarly retro-styled covers available for various IDW titles in July - They have release a checklist if you want to track them all down. 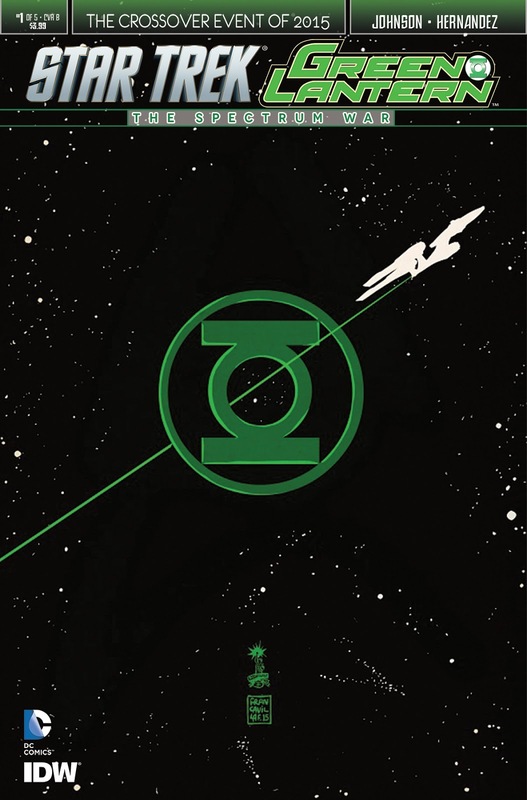 You can see a detail image from this cover on IDW's Tumblr. 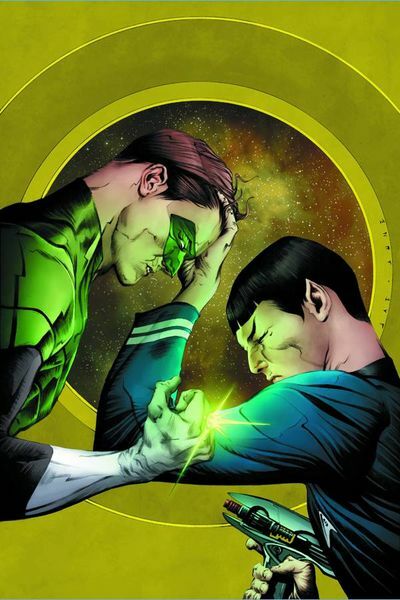 For listings of all the latest Star Trek comics, hit the comics button on my 2015 schedule pages, where you'll also find links to all my previous coverage.